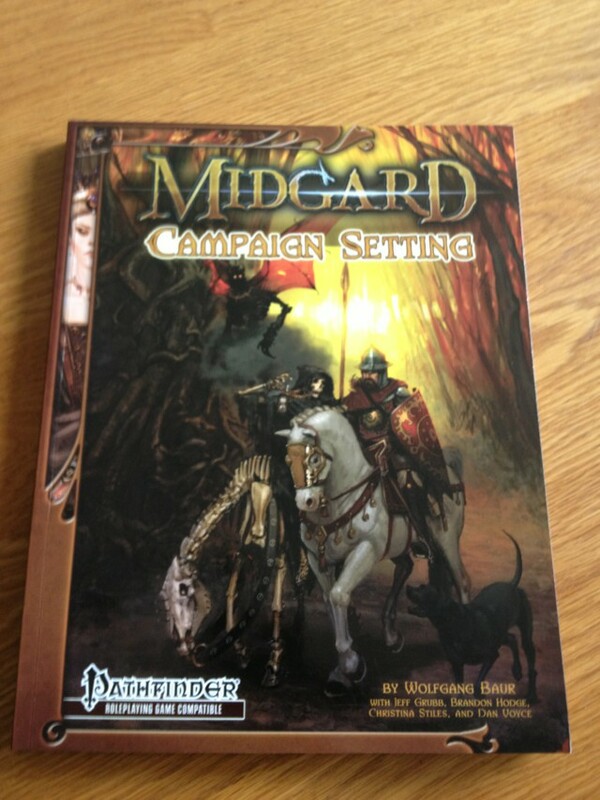 My patron copy of the Midgard Campaign Setting arrived today in the post. It's signed by both Wolfgang Baur and TSR legend Jeff Grubb (creator of some of my favourite D&D campaign settings) and looks even more gorgeous in print than the PDF did! I thoroughly recommend this to anyone looking for a D&D campaign setting, whatever edition of the game you are playing as over 81% of the page count is mechanics-free setting material. Zobeck, the Ironcrags, the River Court and the Courts of the Shadow Fey have all appeared in the 4e Parsantium campaign and I'm looking forward to using a lot more of the material in this book in the future. You can read more in the io9 article here. and also download a free preview from the KQ website.